Our ‘Why Dads?’ A5 Booklet breaks these questions down to the stages and ages of children, from early pregnancy right through to long term benefits of dads. 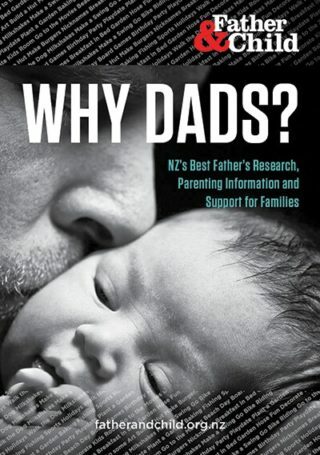 ‘Why Dads?’ explains how the couple relationship changes around baby time, benefits of early bonding and how dads play different in topics like ‘Men and Pregnancy’, ‘Fathers and Learning’ and ‘Dads and Daughters’. 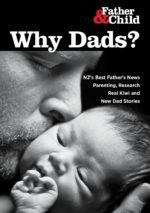 Dads need to understand their own hormone swings and ‘Why Dads?’ includes suggestions on how dads can help in pregnancy and how dads love toddlers, plus a short list of known factors due to the ‘Absence of Dads’. When you see this list, you will know that there are similar issues with many teenagers. A big part of our answer may be a fully informed, involved dad. Why Dads? Credits – collated and edited by Brendon Smith, with material from Harald Breiding-Buss , Warwick Pudney and others via ‘Fathering our City’, plus research by Lyell Pruett and Rex McCann. DHBs or MSD Contract holders can order copies from as little as $1 each if a minimum order 5000.